Muv-Luv is headed to Anime Expo! Japanese manga writer and illustrator. In 2007, won second place at the 6th Dengeki Comic Grand Prix sponsored by ASCII Media Works (now a department of Kadokawa Corporation). 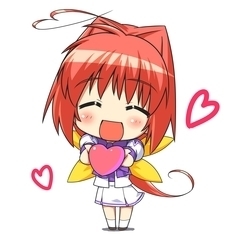 Since then, he has published manga versions of Muv-Luv Alternative in the monthly Dengeki Daioh serial. In addition to eight years of serial publishing, he added the new episode Alter Complete Edition. He has become popular due to his fine touch, with fans now calling him “Maxima Alter.” In the PC game Muv-Luv Alternative: The Day After, set in the same universe as other Muv-Luv series, she exhibited additional talent by presenting characters in a Super Deformed style. Mainly dealing with the licensing of the Muv-Luv series, Mr. Koike handles both creation and business. Since 2007, Mr. Koike was a production assistant at ZEXCS Inc., (a Japanese animation studio) before becoming a production manager in 2010 at Studio Easter, (a studio specializing in anime background artwork). 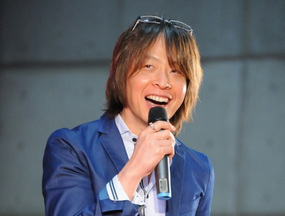 After mainly being involved in the Japanese animation industry, he changed to his current employment in 2012. Tom Nakanishi created ixtl Inc. to manage the copyrights of PC games from the studio âge in May 2011. He also was the general producer for Muv-Luv and Kimiga Nozomu Eien. In 2007, Mr. Nakanishi created AG-ONE Ltd. with Dwango co., Ltd. and Nippon Cultural Broadcasting Inc. and became its CEO. Later, AG-ONE merged by absorbing Picture Magic, Dwango Planning and Development co., Ltd. and 5pb. co., Ltd. reforming into MAGES Inc. in 2011. From 2011 to 2013 he was the CEO and Vice president of MAGES, and stayed as a special adviser until the end of 2014. Mr. Nakanishi has been involved in content creation based upon anime, game, and voice actor for many years. The Muv-Luv Team is going to be at Anime Expo with some pretty exciting news. Check out the schedule below and register for our exclusive giveaway.